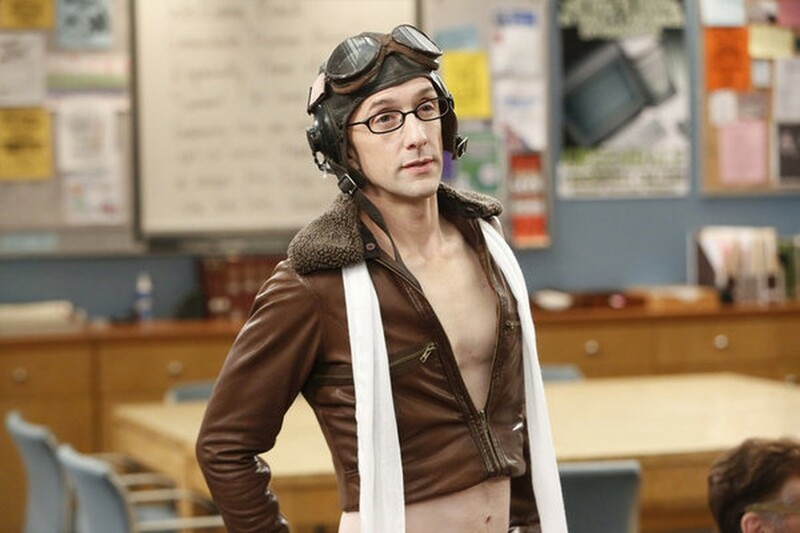 Community came back on the air for its long-overdue fourth season on February 7, and while premieres always carry a certain weight to them, Community’s return was especially heavy. “History 101” not only had to contend with the absence of creator and former show-runner (and, in my humble opinion, misunderstood genius) Dan Harmon, but it was also expected to respond to NBC’s complete lack of faith in the show. And, in the face of a great challenge, Community did…okay. Community is known as a difficult show because it caters to a very specific audience: an audience that loves meta, loves pop culture, and is game to believe that practically anything can happen at a small community college. Community, during the honeymoon period, was a TV fanatic’s dream: There was no trope they couldn’t enact, no cult classic they couldn’t reference. But while this is what made some people love Community, this is also what made it completely inaccessible to most viewers, and it is now why NBC pushed the fourth season back and did nothing to advertise it. And in the face of all that controversy, it does not seem surprising that the premiere felt like the new writers’ room answering the viewers’ stern question: What do you have to say for yourselves? They answered a lot of concerns within the first five minutes. Abed did as Abed does, and acted as a proxy for the viewers at home by filtering perceived frightening changes in his life through television. Not a graceful metaphor by any means, but Abed’s “happy place” being a bizzaro Chuck Lorre version of Community is an excellent wink at suspicions that without Harmon, the show will lose its edge. His even deeper happy place, a cartoon version of the show where the actors lend their voices to animated toddlers, is also good for a few laughs. But while the cast started strong, they failed to keep that momentum. Not with the Troy and Britta relationship, although that didn’t work well for me. Not with the Annie plotline, which not only drags but, worse, feels safe. It wasn’t even with the fumbled catch of the plotline of Ken Jeong’s character Chang, who is so without purpose that they should have written him off. So when one of the main storylines of the first episode is a parody of The Hunger Games, I have certain expectations, which the episode didn’t meet. Aside from Dean Pelton’s initial Katniss costume, little else resembles or winks at the actual Hunger Games phenomenon. Jeff punches some people in the face and dances with the dean, and Pierce struggles to make a joke about balls. Is this what heartbreak feels like? Has Community abandoned me, the type of fan who has re-watched Twin Peaks five times and will re-watch it for the rest of my life, but doesn’t have the TV savvy to pick a bottle episode out of a lineup? Somehow, I will get over my crippling sense of rejection, and watch the rest of this season religiously and hopefully because, despite all odds, Community premiered with record numbers. And although they were only record for the show, and not for TV at large, for NBC that’s still something. No one has been picking up anything else they’ve been putting down, most notably Smash (the show they exiled Community for). The first episode had a mountain of expectation built up around it, so all will be forgiven. Especially because they were basically given a death sentence with half a season left to write and shoot, which means it was created completely and totally without expectation. Not only that, but it was also well publicized that Chevy Chase, the second most hated person on set after Harmon according to sources, left before they finished filming the season. This means that the dreams of the entire cast, crew, and fandom will be fulfilled with Pierce’s death. (One of my favorite moments in the first episode was that Abed recast Pierce in his happy place, providing the best foreshadowing ever.) And with any luck, we’ll have plenty more to look forward to.